Comite Resources has conducted wetland delineations throughout Louisiana for over a decade. A delineation includes assessment of vegetation, soils and hydrology, with expertise in these areas critical to the success of any project. Field biologists with Comite Resources are trained in wetland delineation methods and they have extensive experience in identifying wetland plant indicators, hydric soils criteria, and indicators of wetland hydrology. Below are examples of several wetland delineations that Comite Resources has carried out. 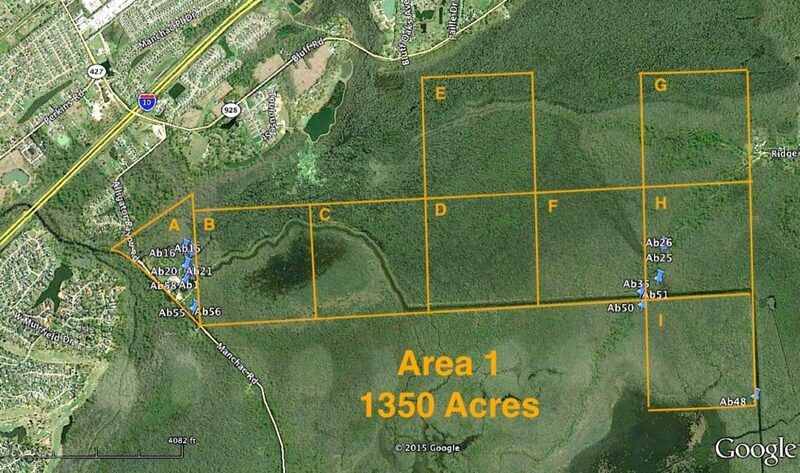 Comite Resources delineated the wetland boundary of the Bluff Swamp Wildlife Reserve (BSWR) located at the intersection of Iberville, Ascension and East Baton Rouge Parishes, Louisiana. In this mostly overlooked wetland are several hundred giant cypress trees of over 700 years old. Frank Bonifay and Jim Ragland, proprietors of the nonprofit BSWR, have no idea how the giant trees survived, but suspect it was due to difficulty in accessing the area. Comite Resources conducted a wetland delineation of the area, providing the BSWR the documentation it needed to pursue legal protection of the region. Comite Resources delineated the wetlands in the location where a new wastewater treatment plant is planned in Jefferson Parish. Positive wetland hydrology, vegetation, and soils were found throughout the project area, and a boundary line was identified demarcating upland from wetland. 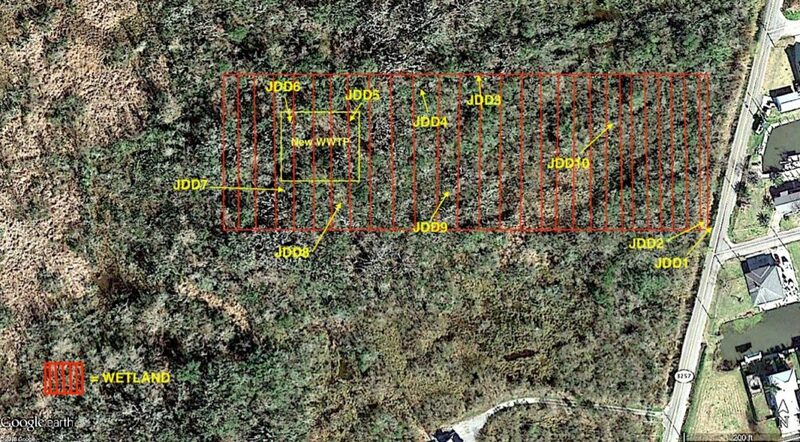 Comite Resources provided a wetland delineation report to the Parish, with maps and supporting documentation, so that it could proceed with construction of the new wastewater treatment plant. In 2012 Comite Resources carried out a wetland delineation on a 10,600 ft pipeline corridor for the city of Kenner. The 8,100-hectare LaBranche wetlands of St. Charles Parish consisted primarily of non-regenerating baldcypress-water tupelo and freshwater herbaceous wetlands in the southern convex ridge of the natural levee, grading to intermediate, brackish, and saline marsh and shallow open water ponds closer to Lake Pontchartrain. Comite Resources provided the city of Kenner with maps and supporting documentation so that it could proceed with construction of the new pipeline. Comite Resources carried out a wetland delineation for the implementation of a wetland assimilation project adjacent to the Lutcher wastewater treatment plant. 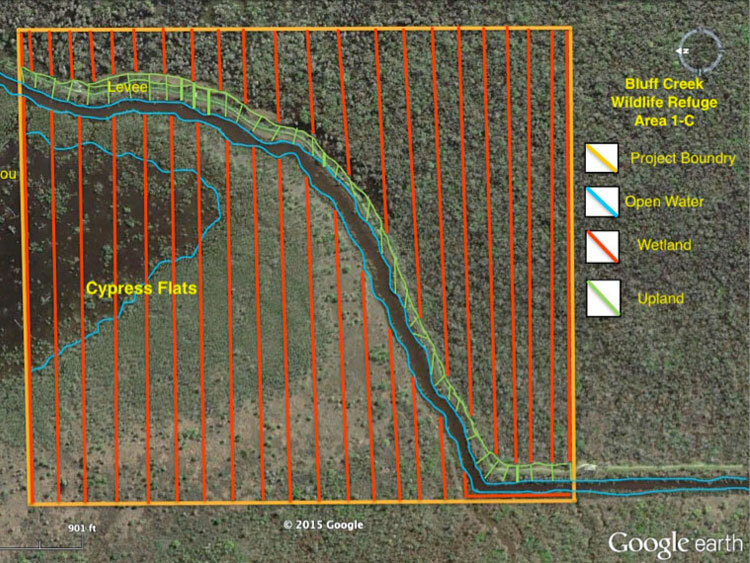 The project area is approximately 570 acres of cypress-tupelo forested wetlands. Comite Resources provided the town of Lutcher with maps and supporting documentation so that it could apply for permits to discharge treated municipal effluent to the wetland. Comite Resources delineated wetland boundaries for implementation of a wetland assimilation project in St. James Parish. The project area was approximately 2,600 acres of baldcypress-water tupelo forested wetlands located east of Highway 20 between Vacherie and Thibodaux, Louisiana. The entire project area was designated as wetlands, as detailed in the final wetland delineation report that Comite Resources provided to the city of Vacherie and the project is currently under construction.